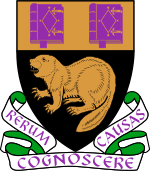 The London School of Economics and Political Science (Scots: The Lunnon Schuil o Economics an Poleetical Science; commonly kent as the London School of Economics Scots: Lunnon Schuil o Economics, or LSE) is a public research varsity locatit in Lunnon, Ingland and a constituent college o the federal Varsity o Lunnon. ↑ "Financial Statements for the Year to 31 July 2015" (PDF). London School of Economics. p. 22. Retrieved 2015-12-22. ↑ 2.0 2.1 2.2 "2016/17 Students by HE provider, level, mode and domicile" (CSV). Higher Education Statistics Agency. Retrieved 25 March 2018. ↑ "LSE Shop". Shop.edirectory.co.uk. Retrieved 19 December 2013. This page wis last eeditit on 17 Juin 2016, at 01:29.